On Saturday, Apple uploaded the first TV advertisement for iPhone XS and XS Max to YouTube, named "Illusion." This ad was first seen at Apple 's September 12 press event and has a golden version of the mobile phone against a magical themed black background. However, except for emphasizing the size of the OLED display with the slogan "Welcome to the big screen", we are not deeply digging about the function of the mobile phone. 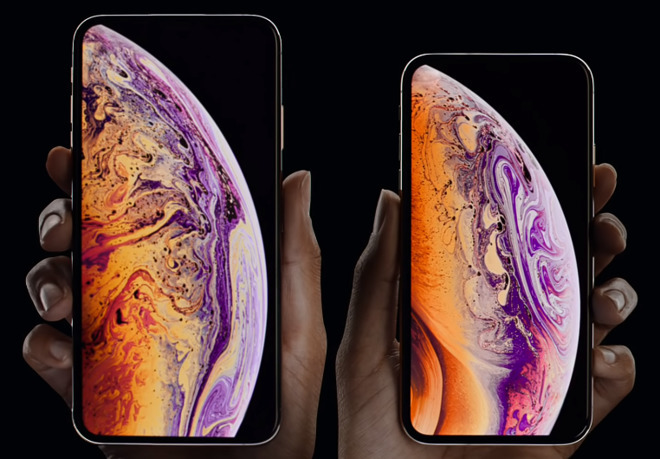 iPhone XS is the same size as the predecessor 5.8 inch iPhone X, but XS Max is 6.5 inch Apple's largest mobile phone. This is 0.1 inches larger than the Samsung Galaxy Note 9 and 1.4 inches from the iPad mini 4 size. XS is a faster version of iPhone X in most respects, but it includes dual SIM support and dramatically improved photos, including low light performance and processing power enhanced by upgraded Neural Engine on A12 processor There are also other upgrades. The owner can even adjust the blurring after taking a picture. XS Max is basically the same device, the screen is magnified. Prior to the release on September 21, pre-order of both mobile phones is in progress.